This post is going to be things that us girlies may like to receive for Valentine's Day. You could start dropping hints and I may ask my boyfriend to read my blog and hope he stumbles across this post. Perfumes are lovely gifts to receive, especially as they can come in some lovely gift sets. I am such a perfume lover and would own loads if I could afford them! My favourites at the moment are Hugo Boss Jour and Ellie Saab. I think vouchers are nice, especially spa vouchers. For Christmas I received a voucher for my local spa which I love going to. This would be such a cute and romantic gift and a voucher is nice as you can then choose which treatment you spend it on. Jewellery is a very lovely gift and possibly quite a safe option if the guy knows what type of jewellery you like. My boyfriend hates jewellery, so I'm not expecting any of that unfortunately! I think dainty, cute little pieces are perfect. I recently reviewed a heart bracelet from LVNDR which would be a gorgeous gift. LVNDR have some adorable pieces, so I would highly recommend having a look on the website. Makeup can also be a lovely present to get. This is something you may have to hint at, as some guys wouldn't know where to start with buying it! 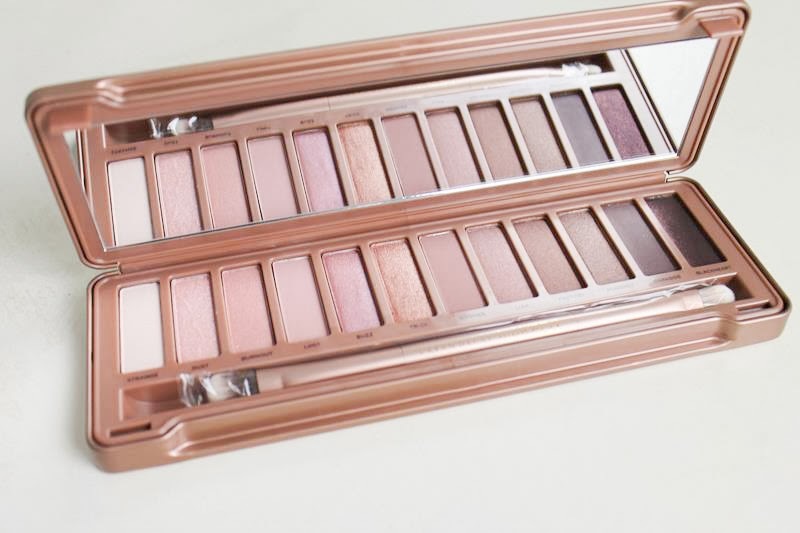 I've recently been loving the Urban Decay Naked 3 palette and that would be amazing to unwrap on Valentine's Day! The shades are pinky tones, so quite girly and romantic. Slightly more traditional gifts may include going out for a meal, receiving flowers or chocolates. I love receiving flowers, as they are so pretty and nice to put up in my bedroom. My boyfriend is taking me out for a meal on Valentine's Day, so I am excited for that! I'm hoping I receive some chocolate as well because I love chocolate a ridiculous amount! Look Fantastic currently have some fantastic offers on their products, including 20% off selected Valentine's day gifts here! I hope you have liked this post and it has given you some ideas to hint about! I would love to know what you would like to receive for Valentine's Day, so let me know below.